What Are the Benefits of Unsecured Loans for Your Small Business? Opportunities to work from home have increased exponentially since the expansion of the Internet. Anyone who wants to can work from home nowadays. However, for those who do, creating a sustainable home business environment is essential. 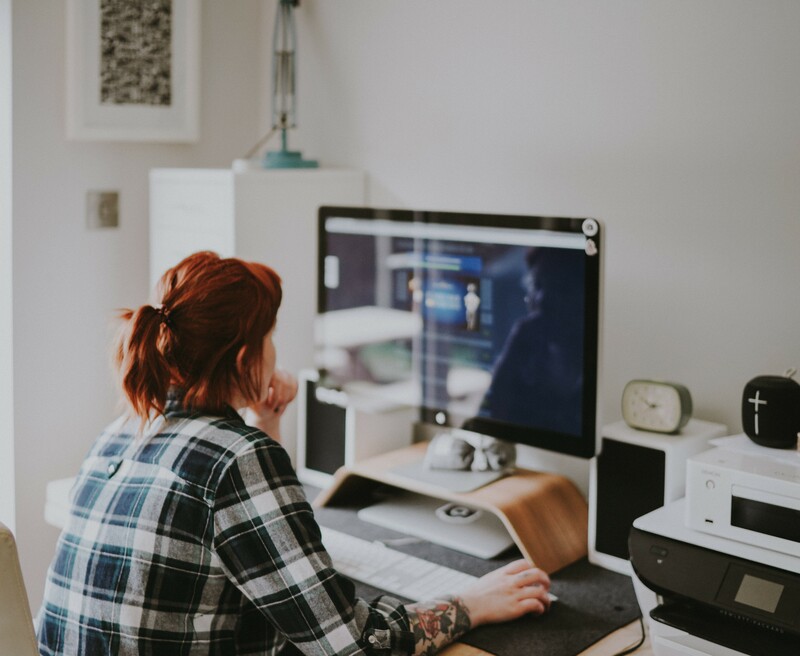 Being a self-employed freelancer in today’s working environment carries with it plenty of additional responsibilities that a traditional working environment does not. However, strict rules for managing the working day generally don’t work well for these types of business arrangements. Some companies that have implemented a work-from-home policy have had to learn this lesson the hard way. On the other hand, some studies indicate that working from home leads to increased productivity. However, this kind of working arrangement requires more self-discipline. Here we have gathered some tips to help stay-at-home workers achieve high levels of productivity. Being your own manager is not easy. You must supervise your own tasks, finances, projects, pitches, goals, and results. However, structuring your business management with interactive calendars, online reminders, or reporting tools can help you to efficiently handle your workflow. These will help to ensure that your tasks are completed on time. Use them to keep your priorities on track. Working on a couch might be tempting, but leisure rooms should stay just that—for leisure. Maintaining a separate office space will shift your perception of staying at home. You’ll have the feeling of actually going to a job. This will naturally increase your productivity level. Also, your health will benefit. The ergonomics of well-designed office furniture far surpass those of couches designed for relaxing. It’s good to wake up early and get to working in your home business environment soon after. This can increase your overall effectiveness. Prolonging the waking-up process by taking a long breakfast and concentrating on things that are unrelated to your work can cause lethargy and decrease your productivity. With all of its perks, the home business environment lacks the benefits of companionship and troubleshooting with co-workers. This can be especially difficult for extroverts. If you’re someone who likes to surround yourself with people, organize regular live meetings or turn to technology. Checking in with coworkers and staying connected with office happenings can easily provide a sense of presence. Instant messaging, video chats, and phone calls can remind you of your overall contribution to the larger operation. Different tasks require different music. For example, video game soundtracks have proven to be quite effective in increasing productivity levels. This is because they’re designed to boost concentration and help players complete tasks. As a matter of fact, even some surgeons listen to music while they work. However, some people are more productive when there is no noise in their environment. For others, studies show that their productivity depends on which kind of music they listen to. When you had an office job that you had to show up for every day, you probably had a morning routine. For example, maybe you made coffee and ate breakfast before you dressed up and left your home. However, when you work from home, routines can quickly deteriorate. You might find yourself lingering in bed. Then perhaps you throw on some sweatpants and a t-shirt instead of dressing in business attire. Try this instead. Pretend you are going out to a job. Get up early and get dressed up before you go to your desk. You’ll find that this will change your mindset. You’ll start thinking about work-related tasks as you’re preparing to work. And you’ll avoid distractions that can affect your productivity. Dressing up signals your mind that rest time is over and the work day is beginning. You don’t have to dress to impress. However, some focus on your appearance can set your mind into the working mode. With WiFi easily available almost everywhere these days, you can transport your home business environment to a public place. Moreover, this can also help you to shift into the right frame of mind for a workday. Libraries, coffee shops, public lounges, and similar environments can stimulate your energy. They can encourage you to be more productive. Planning out what you will be working on ahead of time can be a significant productivity booster. Schedules change and adapt, of course. But it is important to have an outline of assignments and an agenda to keep your work on track. Planning will also help you to maximize your business resources and manage your time better. An essential component for success for people who work from home is keeping finances well managed. Therefore, look online for financial reporting examples that you can utilize for your own operations. These can help you to manage your home business finances and remain productive with your work. If you share your home space with family or roommates, it is important to set boundaries when you get into your working mode. For some people, this could be a sign on the office door. For others, it might mean putting on headphones. If there are children in the home, signals resembling traffic lights can help. For instance, for children who are old enough to understand, red would mean that you must not be disturbed. Yellow would be a signal to check with you before barging in. And green would mean it’s okay to come into your office. Communicating your needs to people you share your living (and working) space with is of utmost importance. This is especially true if you have an important online meeting or presentation you need to attend to. Although it might be tempting to get some work done during the evening or on weekends or holidays, it is crucial to separate working hours from leisure hours. Otherwise, the flexibility that working from home provides can lead to long hours of work with little real rest. On the other hand, keeping a clear schedule will sustain your energy levels. You’ll then have more motivation to get tasks done. And your time for rest will be just that—time for rest. These are just a few tips for creating a sustainable home business environment. Use them to keep your productivity high and make your work time more fulfilling. Sandra is a dedicated writer, content manager, and online marketer. Passionate about business intelligence, technology, big data, and analytics, she is working in the buzzing startup scene in Berlin, Germany.